« The "Bests" and the "Worsts"
Let's get right to the chase: two primary autofocus systems exist, contrast-based and phase detection. DSLRs use phase detection as their primary autofocus capability, while compact cameras use contrast as their sole autofocus capability. Mirrorless cameras can be either (and in some cases, both). DSLRs — one of the uses of the mirror contained in the traditional DSLR is that it splits off some light to a phase detect sensor. Phase detect sensors are interesting, because they can report not only which direction the focus is off (near/far) but also by how much. Thus, in a phase detect system, the camera looks at the focus sensor, sees direction/distance and tells the lens to "move there." It's very quick, and capable of following movement very easily. Because DSLRs have large autofocus sensor modules, they have quite a bit of finite discrimination, meaning that they’re better at telling the difference between very small distance changes. Because mirrorless cameras do phase detect on the sensor, the geometries involved are far smaller, and they tend to have less finite discrimination. Compacts — (most) compact cameras use the imaging sensor for everything. They look at the image and measure contrast. At the most simplistic level, high contrast means "in focus" and low contrast means "out of focus." Most contrast-based sensor systems have no notion of direction and distance the lens needs to move to improve contrast, so the camera iterates: the camera moves the focus a bit and re-evaluates, then uses that information to tell the lens more about where to go. You’ll often see contrast systems do an over-and-back move at the end, where they go past maximum contrast, then return back to the previous highest contract point detected. Panasonic’s contrast detect system—indicated by the DFD label—is unique in that it uses information about what out of focus looks like for each lens at different distances as a hint as to where and how much to move. Phase detect sensors often operate with very high data streams (usually higher in a pro DSLR than in a consumer or mirrorless one, which is why the pro DSLRs tend to be better at focus on fast moving subjects). Contrast-based systems operate at (usually) the video frame rate of the camera, which is generally slower, though the tendency has been to up this rate in recent years. The Nikon 1, Canon EOS M5/M6/M50, Fujifilm X-Pro2/X-T2/X-T20/X-H1/X-A5/X-E3, Olympus E-M1II, and Sony A6xxx/A7/A9 models — These cameras all use phase detect sensors built into the imaging sensor. That usually means that some pixel positions on the sensor (73 for the oldest Nikon 1 models, many more for newer mirrorless cameras) are dedicated to measuring focus information, not image data (Canon's approach is slightly different and does both). It's easy enough to hide those focus positions because we've got millions of imaging positions and can easily interpret the imaging data that they might have gotten (Canon’s approach still collects image data from the focus positions; some Fujifilm and Sony cameras can collect image data from focus positions, too). The m4/3 cameras — While the Panasonic and lower-level Olympus cameras are mostly contrast-detect focus, these two companies pushed three things that were different into their mirrorless cameras compared to their compacts: (1) faster imaging frame rates for focus (now at least 120 fps and as fast as 240 fps); (2) faster lens focus motors; and (3) more sophisticated check-and-jump focus algorithms. Panasonic now also uses a lens characteristic table to determine where to move the focus based upon the blur the sensor sees (DFD). There's strong demand for mirrorless systems to have focus performance more like DSLRs than compact cameras, thus there's a lot of R&D tackling the problem, and focus performance has improved tremendously in the nine years we’ve had mirrorless cameras. The m4/3 cameras were better than we were used to from contrast-based focus systems when they first appeared, and have gotten better with each subsequent generation. But most of them are no real match for the Nikon 1’s dedicated phase detect system in decent light, especially for tracking moving subjects. The many phase-detect-on-sensor systems now appearing on mirrorless cameras are highly variable in nature. The Sony A7 Mark II generation is okay, but not close to DSLR performance, though the Mark III generation (and A9) are faster and much closer to DSLR performance. In order of performance, I’d call it this way from best to worst: Sony A9, Sony A7 Mark III models, Nikon 1 (all models), Sony A6500, Fujifilm X-H1, Fujifilm X-T2, Olympus E-M1 II, Sony A6300 and A7 Mark II generation models, and finally the Canon EOS M5/M6. Where we stand today is here: almost all mirrorless cameras have focus performance somewhere between compacts and DSLRs, and the average is getting much closer to DSLR-type performance. The Nikon 1 cameras were always very close and maybe even equal to consumer DSLR performance in good light, while a few cameras—the older Canon EOS M3 comes to mind—are far closer to the best compact cameras in focus performance. Static subjects — Anywhere from very good to superb. Even the contrast-based cameras are getting very good and fast at focusing on static subjects. There's very little focus lag when you're in Single AF mode on any mirrorless camera. Worst current performer: Fujifilm X-A5, though it still is pretty decent. Face and eye recognition routines can make these systems really good for automatic use on human subjects (just point the camera and let it figure out where focus should be). Moving subjects — Only a few mirrorless cameras really get truly close to the best DSLR performance, and then often only in good light. Because the phase-detect-on-sensor system has less distance discrimination than DSLR phase detect, you often see slight misses in tracking a continuous sequence of a moving subject. The best of the currently systems is the Sony A9, which uses a lot of brute force speed at the sensor to make up the difference. Just behind that you’ll find the Sony A7 Mark III models, and just behind that you’ll find the Nikon 1 cameras and the most recent Fujifilm X models. The m4/3 cameras have certainly improved at Continuous AF, but frankly the "miss ratio” on erratic and fast moving subjects is still too high to rely upon them for this on anything, even on the Olympus OM-D E-M1 Mark II and the Panasonic GH5/GH5s. Fujifilm, Olympus, Panasonic, and Sony are all closing the gap to DSLR performance, though. 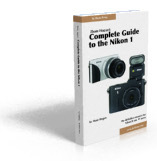 Set and handled properly most current mirrorless cameras are usable for many continuously moving subjects. Still, your “hit rate” probably won’t match a good DSLR set and handled properly. I expect these things to continue to change (for the better) over time. Today the mirrorless cameras are between compacts and DSLRs in autofocus performance, but almost all get relatively close to the consumer DSLRs, a few get close to the high-end DSLRs. Expect better autofocus performance than your compact camera had (at least from the leading mirrorless cameras), but expect worse than your high-end DSLR.